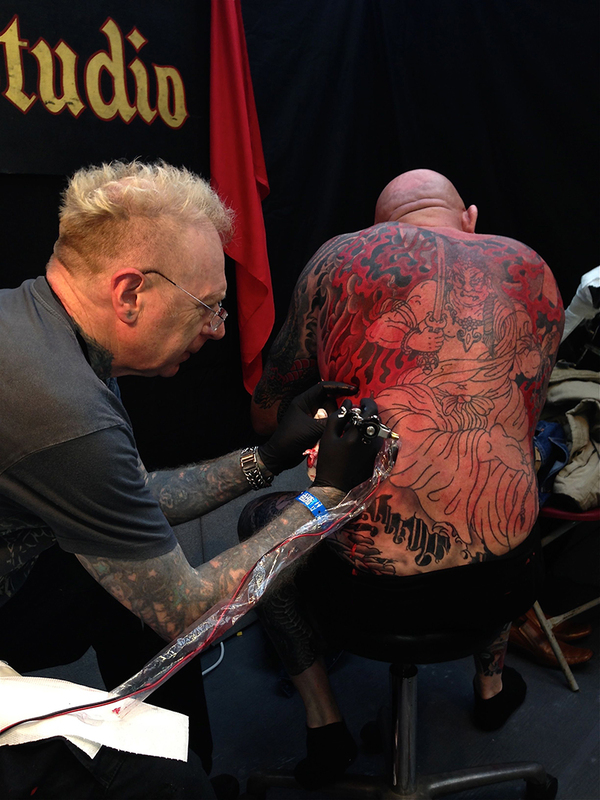 My wife and business partner Patricia and I established my shop George Bone Tattoos in its present location in 1973, making it one of London’s original tattoo studios. The macabre theme of the studio decor was spawned in the early 80s by myself, and has constantly been added to and improved over the years. I have made most of the items and fittings for the theme. The latest addition is a monastically-themed toilet – complete with chanting monks. Most styles of tattoo work are catered for except portraits. Body piercing is also available.